If you have a home office that always seems to be cluttered then you may find this 5 Minute Office Cleanup Idea very useful. Sometimes it seems like there are cords and equipment everywhere. It can be hard to find inspiration to get your work done when there is stuff cluttering your desk. There are so many add ons and extras available that it can be difficult to organize a pleasant work-space that is also functional. 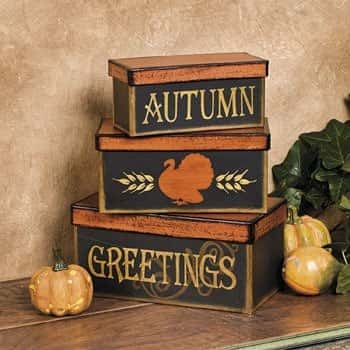 ^ Cardboard storage boxes are a fantastic way to disguise unsightly equipment. 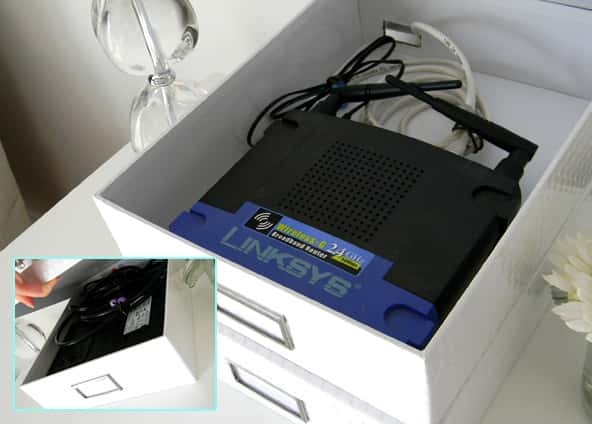 An excellent place to store a modem or router, simply place it in the box and cut holes for cords as needed. 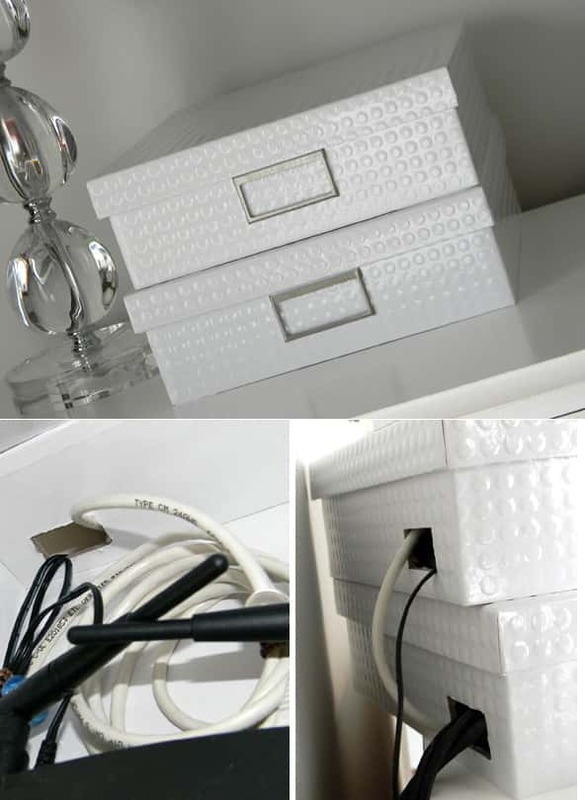 This is also a good place to store cords that need to be easily accessible. Such as your phone or ipad charger. 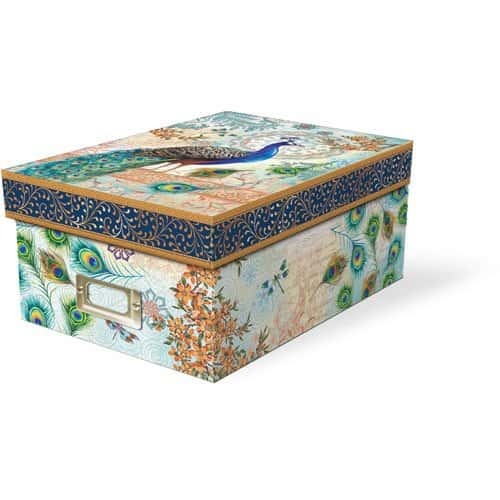 If you like to recycle you can use old gift boxes. 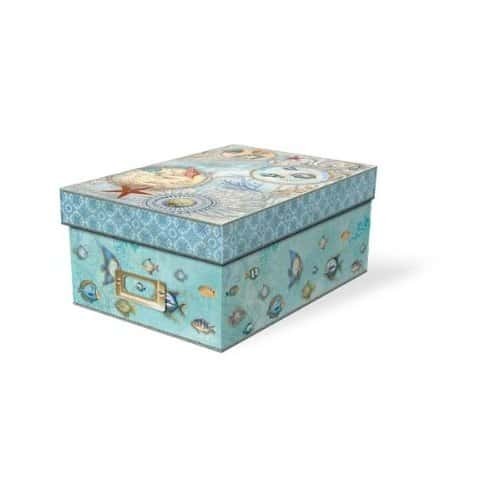 There are boxes available featuring many different designs so you can easily find an inexpensive one to suit your personal style. 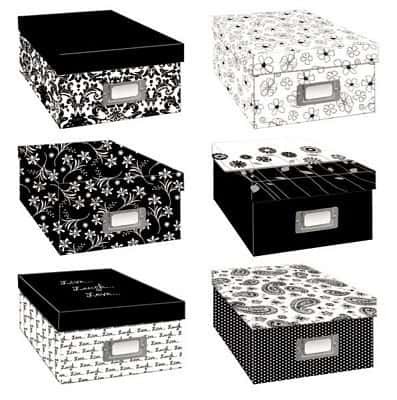 Here are a few boxes you might like.